The Food and Drug Administration has failed to ensure that drugs given prized rare-disease status meet the intent of a 35-year-old law, federal officials revealed in a report today. The Government Accountability Office, which spent more than a year investigating the FDA’s orphan drug program, said “challenges continue” in the program that was created to spur development of drugs for diseases afflicting fewer than 200,000 patients. The investigation began after a request from three high-profile Republican senators last year, in the wake of a KHN investigation. KHN found that the program was being manipulated by drugmakers to maximize profits and to protect niche markets for medicines being taken by millions. The GAO uncovered inconsistent and often incomplete reviews early in the process of designating medicines as orphan drugs and recommended “executive action” to fix the system. In some cases, FDA reviewers failed to show they had checked how many patients could be treated by a drug being considered for orphan drug status; instead, they appeared to trust what drugmakers told them. In response to GAO’s probe, the FDA issued a statement saying it is “streamlining our processes” and declined requests for interviews. Officials at the Department of Health and Human Services, which oversees the FDA, said they agreed with GAO’s recommendations. The incentives, though, have proven to be more powerful and highly coveted than expected, said Avik Roy, president of the Foundation for Research on Equal Opportunity, a conservative think tank. Many people are “starting to wonder whether or not the Orphan Drug Act over-corrected for the problem,” Roy said, noting that a third of all pharmaceutical spending in the U.S. will be on so-called rare-disease medicines in 2020. GAO investigators examined FDA records for 148 applications submitted by drugmakers for orphan drug approval in late 2017. FDA’s reviewers are supposed to apply two specific criteria — how many patients would be served and whether there is scientific evidence the drug will treat the disease. In nearly 60 percent of the cases, the FDA reviewers did not capture regulatory history information, including “adverse actions” from other regulatory agencies. The FDA uses experienced reviewers, Dicken noted, who may already know the history of certain submitted drugs and not see the need to document it. And 15 percent of the time FDA reviewers failed to independently verify patient estimates provided by the drugmaker. Of the 148 records the GAO reviewed, 26 applications from manufacturers were granted orphan status even though the initial FDA staff review was missing information. 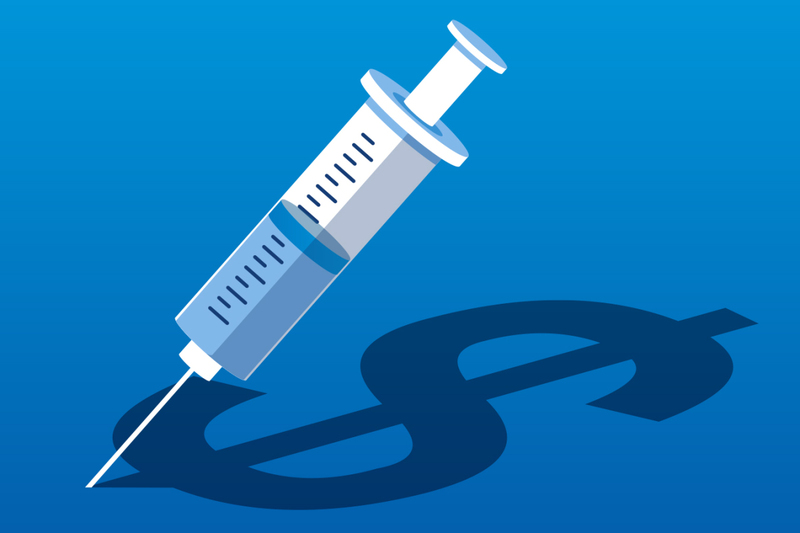 “It is tempting to think that perhaps those approvals were sort of granted routinely without sufficient scrutiny,” said Bernard Munos, senior fellow at FasterCures and the Milken Institute. By contrast, early Orphan Drug Act advocate Abbey Meyers said she was not concerned about the lack of population estimates because many rare diseases lack population studies that show how common a disease is. Rather, Meyers said, she’s “disappointed that there is no government-funded agency that is willing to finance” such research. The GAO investigation began after Scott Gottlieb, who took over as FDA commissioner in May 2017, announced a “modernization” of the rare-disease program. Critics have long complained that drugmakers game the FDA’s approval process for orphan drugs. In January 2017, the KHN investigation, which was co-published and aired by NPR, revealed that many orphan drugs aren’t entirely new and don’t always start off treating rare diseases. The GAO report, while not analyzing the same years, found that 38.5 percent of orphan drug approvals from 2008 to 2017 were for drugs that had been previously approved either for mass-market or rare-disease use. About 71 percent of the drugs given orphan status were intended to treat diseases affecting fewer than 100,000 people. KHN’s investigation found that popular mass-market drugs such as cholesterol blockbuster Crestor, Abilify for psychiatric conditions, cancer drug Herceptin and rheumatoid arthritis drug Humira, the best-selling medicine in the world, all won orphan approval yet were already on the market to treat common conditions. In addition, more than 80 orphan drugs won FDA approval for more than one rare disease — or several — each one with its own bundle of rich incentives. Genentech’s Avastin, a cancer treatment approved for mass-market use in 2004, won three more orphan-designated approvals this year for the treatment of three rare forms of cancer. It now has 11 approved orphan uses in all, and exclusive protections that keep generics at bay won’t run out until 2025. Sens. Orrin Hatch (R-Utah), Chuck Grassley (R-Iowa) and Tom Cotton (R-Ark.) sent a letter in March 2017 asking the GAO to investigate the program and find out whether Congress’ original intent for it was still being followed. “Despite the success of the Orphan Drug Act, 95 percent of rare diseases still have no treatment options,” Hatch said in a statement Friday. “I hope that my colleagues will utilize this [GAO] report as they work to strengthen the accomplishments of the Orphan Drug Act and encourage developers to continue their investment in this patient population.” The GAO report also mentioned concerns about prices, noting that “the ability to command high prices” was one reason the rare-disease market was growing so rapidly. The average cost per patient for an orphan drug was $147,308 in 2017 compared with $30,708 for a mass-market drug, according to a 2018 EvaluatePharma report on the 100 top-selling drugs in the U.S. Celgene’s chemotherapy drug Revlimid was the top-selling orphan with $5.4 billion in sales and $184,011 in revenue per patient. “We have accepted culturally that it’s OK for a company to charge high prices for [orphan] drugs,” said Roy. “The end result is that a lot of these orphan drugs are $10 billion drugs, even though they are for rare diseases,” he added. From 2008 to 2017, more than 50 percent of the drugs granted orphan status were for oncology or hematology, according to the GAO report. And nearly two-thirds of drugs approved in the program were given expedited review processes, such as accelerated approval or fast-track designation. Prior to announcing Gottlieb’s modernization plan, the FDA had a backlog of 138 drug applications for orphan status that had been waiting more than 120 days. The backlog was cleared in August 2017 after staff from across the agency stepped in to help.